Freakin' Xtreme! | We're Freakin' Xtreme! Are you?!! IT FEELS REALLY REALLY GOOD!! is the speed of the pack! 22 years ago I dared to dream that I could create a company that would change, even save lives. Help me to share that dream, and fulfill that promise, as we go in to 2015 as it has never been done before. This is our year. We can do it. Together. fill out the form below to get a $50 gift card to start your transformation for life!!! The newly formulated L.O.V. with Vanilla Chai flavor not only tastes great, but it is jam packed with organic vegan micronutrients to go straight to the cellular level to nourish and power you to excel! Just look at those ingredients!! Contact us for a free $50 gift card using the form below! Purium sells nothing but No GMO, Organic products. All Superfoods and super supplements! Ask us for a $50 gift card in the contact form below to start ordering your Superfoods from us! Discovering superfoods has changed my life and was one of my first steps towards my recovery from eating disorders, and becoming healthier and happier. Now, I have them every day and that’s helping me to stay healthy and have great energy. Maca is a root that comes from Peru. You will mainly find it as powder because it doesn’t grow in all climates So, it is dried and powdered to be exported in the rest of the world. Maca is amazing for balancing hormones and is beneficial to both women (relief of PMS symptoms and menopause) and men (enhanced fertility). 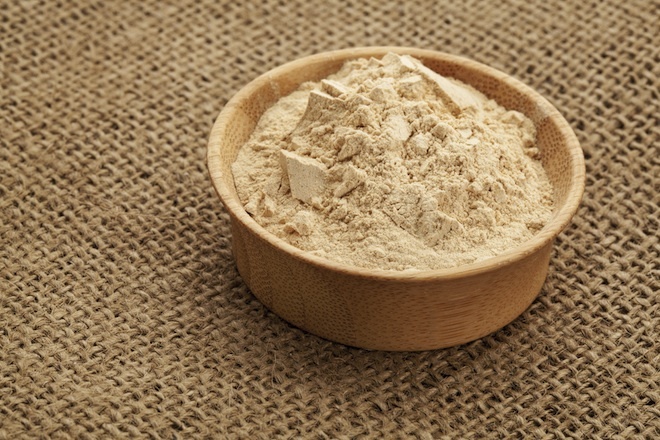 Maca is also a great adaptogen that helps decrease stress levels, enhance strength, stamina and libido as well as providing great energy and endurance. It works with the rhythms and needs of your own body. Maca is rich is calcium, phosphorus, magnesium, potassium, vit B1, B2, C, E and iron. It contains lots of trace minerals like zink and selenium and is great for menstrual imbalances, lack of libido, infertility, menopausal symptoms and stress but also for conditions such as anemia, fatigue, depression, poor memory, tuberculosis and malnutrition. I usually add maca powder to my breakfast muesli, smoothies, juices, chocolate, desserts, etc. YES, chocolate is a superfood! But I am not talking about the sugary, packaged chocolate bars you find at the supermarket. I’m talking about the real, original, raw, pure cacao. You can use the beans, which are quite bitter or you can find it in powder in any health food store to make amazing desserts like my wonderful Love Chocolate Pie or Sour Cherry Fudge. Pure, raw, organic cacao is just amazing and to be honest, I am enjoying it every single day in healthy, sugar free desserts or smoothies. Because what’s bad about chocolate? It’s actually sugar, dairy and other additives that have been added to packaged chocolate you buy in supermarkets. Cacao itself is great for your health and is nature’s number-one weight loss and high energy food, according to David Wolfe, the cacao master (watch his TEDx talk about chocolate here). Chocolate is rich in antioxidants, magnesium, iron, chromium, manganese, zinc, copper, vit-C, phosphorus and more. It’s also rich in tryptophan, which is a powerful mood-enhancer, crucial in the production of serotonin, which diminishes anxiety and has the same impact as love in our brain. That’s why chocolate is often associated with love and Valentin’s day. Add more raw, pure and organic cacao into your diet and start feeling amazing effects. Chia seeds are a complete protein rich in fiber, potassium, calcium, iron, phosphorus and manganese. Just one tablespoon of chia seeds contains 5 grams of fiber. So adding a tablespoon of chia seeds to your breakfast (cereals, smoothies, juices, etc.) is a great way to increase your fiber intake. But chia seeds are also very rich in vitamin C, Omega 3 and 6 and antioxidants. They absorb lots of water (about 10 times their weight). When you soak chia seeds, they will absorb lots of liquid and create a gelatine-like substance, which will clean your digestive and immune systems by moving all the toxins and impurities to the bowels. Soaking chia seeds in coconut water or mashed fresh fruit for breakfast is great and chia puddings are also delicious and great for your health. This is one of my favorite foods and drinks ever. The water inside the young coconut is an isotonic drink full of electrolytes and can even be used in blood transfusions. It is rich in potassium, is ideal for proper rehydration and has strong antiviral properties. It also contains kinetin, which keeps the coconut young despite the fact that it’s under the sun all day long. Kinetin has the exact same effect on our body and keeps you young. Coconut meat is high in protein and fiber and is a great saturated fat (essential to our body). It’s been proven that the saturated fat in coconut oil supports the immune system, thyroid gland, nervous system and skin. Coconut oil and butter are also a very healthy saturated fat and are perfect for cooking as it’s the only oil/butter that stays stable when you heat it (even olive oil is not perfectly stable when you heat it). Thus, using coconut oil for cooking is much safer and healthier than any other oils. Personally, I only use coconut oil for cooking. I still use olive, hemp and flax oil, which are all amazing oils, but only for dressings. I also use coconut oil on my skin, as moisturiser as coconut oil is actually a top beauty product… and at a very cheap price! 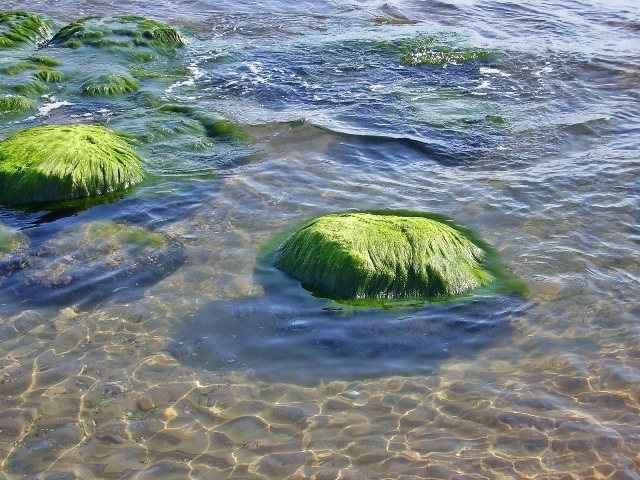 Spirulina is a Blue-Green Algae, which thrives in alkaline lakes. It contains over 65% of complete protein (300% more than fish, meat or poultry, with 0 cholesterol). Spirulina is also very rich in chlorophyl, iron (about 58 times more than spinach), antioxydants, beta-carotene and essential fatty acid Omega 3 and 6. Spirulina really helped me to have more strength and energy to recover from bulimia. It also fixed my anemia and I was able to get rid of my unnatural iron supplements. Today, I am taking 3 to 6 grams of spirulina every morning. You can choose to use powder – which is the most powerful way as it’s directly absorbable by your body – and add it to your juices and smoothies. If you don’t juice or blend every day, you can use tablets (I personally find that the taste is too strong to mix spirulina powder with water only). You can change your dosage regarding your levels of energy, activity and your diet. Spirulina is also great for people who have digestive issues as it helps improving the absorption of nutrients by your body. 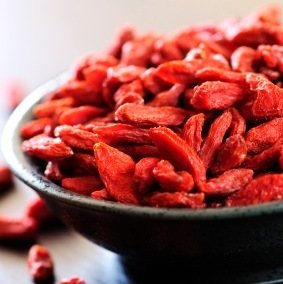 Goji berries are a berry-fruit found in Asia and America. They are usually dried before being exported elsewhere in the world. Gojis are probably one of the most nutritious berry-fruit found on the planet. They are a complete source of protein and amino acids, contain lots of trace mineral as well as vit B1, B2, B6, E and C. They are extremely rich inantioxidant, which protects you from the ageing process and free radical. They are also well-known to improve vision, boost libido, sexual function and immune system. Sounds great, right? Hempseeds and oil are one of the rare complete source of protein (33% to 37% of its weight) and are packed with life-force energy and enzymes. They are rich in Omega-3, 6 and 9 which are all very important for brain functions and considered a quality beautifying oil. acids, thus are also decreasing inflammation. They deliver a balanced array of amino acids and are rich in minerals such as phosphorous, potassium, magnesium, calcium, iron, manganese, zinc, sodium, silicon, copper and many others. Use the oil in in your dressings and sprinkle the seeds on your cereals, fruits, smoothies or salads, they are delicious! Flaxseeds (or linseeds) and their oil are one of the richest source of Omega-3 fatty acids. Omega-3 fatty acids are essential for our health as our body doesn’t produce them on its own. The problem in our societies is that the big majority of people consume too much Omega-6 fatty acids and not enough Omega-3. However, the balance between both is absolutely vital to be healthy. Flax seeds and oil is one of the rare food that contains Omega-6 and 3 (EFAs – essential fatty acids) in perfect balance for the human body. EFTAs are vital for brain function, energy production, oxygen transfer and strengthen immunity. Omega-3 fatty acids help to fight and prevent inflammation and many degenerative conditions such as heart disease, high blood pressure, strokes, etc . They are many other superfoods great to try and add to your diet such as acai, bee products (bee pollen, royal jelly, honey and propolis), marine phytoplankton, aloe vera, wheatgrass or any seaweed, but here are the ones I am using the most to boost my mood and enrgy levels! Purium offers 4 different ways to get your Spirulina High Protein Superfood! This note from “The Secret” fits so well with our beliefs!! I know ours is!! We LOVE our replacement drink! Our Newest product at Purium, L.O.V.E. Super Meal, is the purest source of food on the planet and compares well to its competition. Want a free $50 gift card to try Purium’s Organic Spirulina?!! Purium’s Organic Tropic Oil™ is pure, extra virgin coconut oil. Our Organic Tropic Oil™ is hand poured into jars at a low temperature making a marbled texture that shows it is still in its raw state. 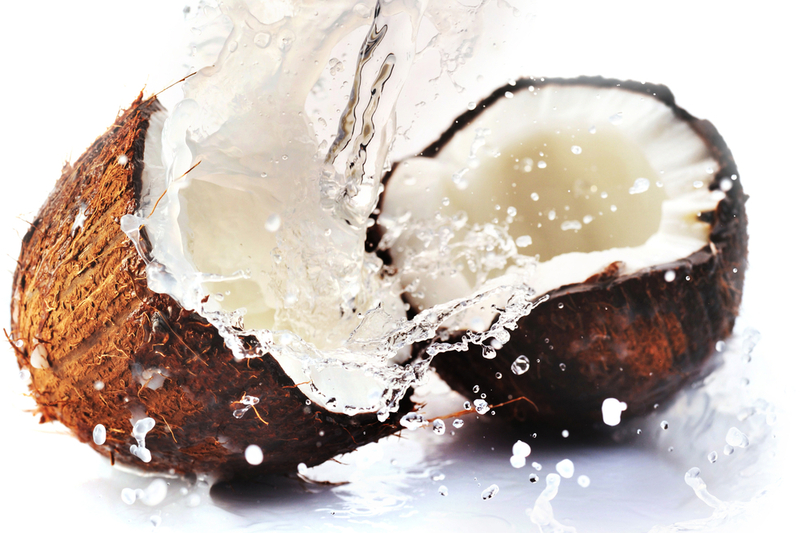 Coconut oil has been a dietary and beauty staple for millennia. It’s a powerful destroyer of all kinds of microbes, from viruses to bacteria to protozoa, many of which can be harmful, and provides your body with high-quality fat that is critical for optimal health. Around 50 percent of the fat in coconut oil is lauric acid, which is rarely found in nature. In fact, coconut oil contains the most lauric acid of any substance on Earth. Your body converts lauric acid into monolaurin, a monoglyceride that can actually destroy lipid-coated viruses such as HIV and herpes, influenza, measles, gram-negative bacteria, and protozoa such as giardia lamblia. This is undoubtedly part of what makes it so medicinally useful—both when taken internally and applied externally. Coconut oil is comprised of medium chain fatty acids (MCFAs) that are easily digested and readily cross cell membranes. 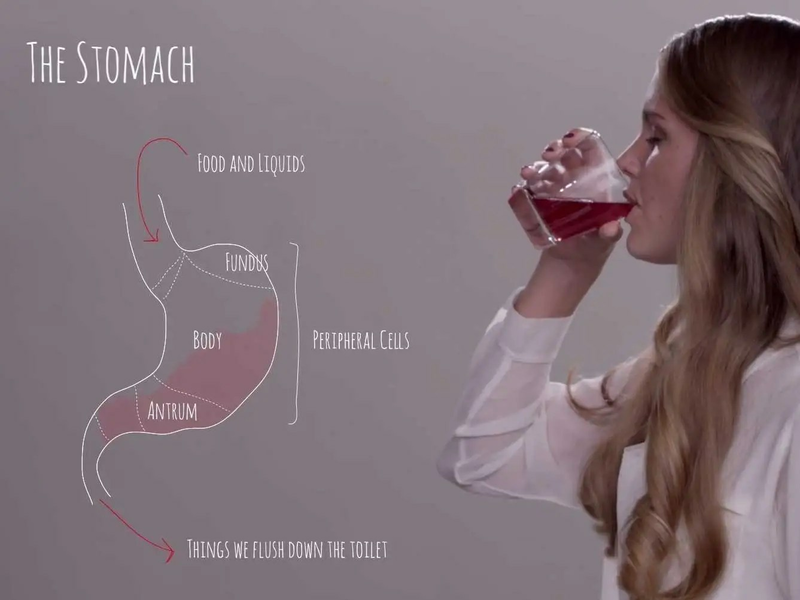 MCFAs are immediately converted by your liver into energy rather than being stored as fat. This is in part why I recommend coconut oil as an ideal replacement for non-vegetable carbohydrates. The harrowing effect of sugar consumption on American waistlines isn’t necessarily new news, but Credit Suisse does an excellent job of breaking down just how out of control it has gotten (especially in the U.S., where they had to literally adjust the y-axis of one of their charts so that U.S. soda consumption could be mapped). We grabbed some screenshots from Credit Suisse’s video to break it down. 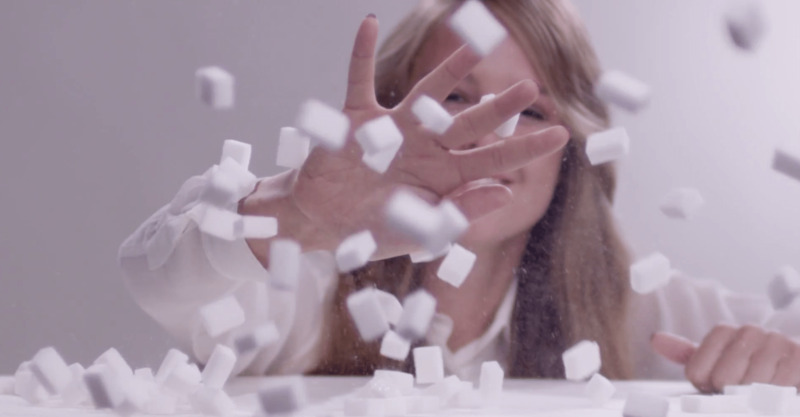 400 million people worldwide are affected by Type 2 Diabetes. That’s a problem, a HUGE problem. And we have the solution! But don’t just take our word for it, ask the Diabetes Resource Center. Scoop of Greens™ has been given the Diabetes Resource Center’s prestigious Seal of Approval because it is a valuable aid in safely stabilizing and lowering blood sugar. You may not realize but Scoop of Greens was named after 2-time Grammy Award winner “Fatman Scoop.” David Sandoval created this product for Scoop so he could get medical clearance (due to his diabetes issues) to perform on his MTV show. Dave has a long list of celebrity and athlete clients who demand the best, the healthiest, and the purest products. These superstars can afford to get any products on the planet, but they choose to use Purium, because of the results! The L.O.V.E. Super Meal is also approved by the Diabetes Resource Center! And the 10-Day Transformation Cleanse also has tremendous testimonials supporting its ability to help people effectively manage blood sugar levels. Spread the word. Join the Million Mom Movement! Interested? Want a free $50 Gift Card to try these products?